Another contender in the upcoming foldable tablet / foldable smartphone market is now officially working on such a device to, and this time it’s LG, naturally well positioned as it is because of its already extensive use of OLED displays. From before we know that there are foldable Samsung tablets due for a possible launch in 2017, and that foldable Lenovo tablet prototypes have been showcased, and that two Chinese brands are known to be working on foldable tablets and smartphones too, with one of these being Oppo. But additional reporting from Etnews yesterday puts a more specific time frame on these developments from LG, where it is claimed that LG have started developing foldable displays after starting a new factory for this purpose alone in Gumi, South Korea, where LG already have three facilities from before. 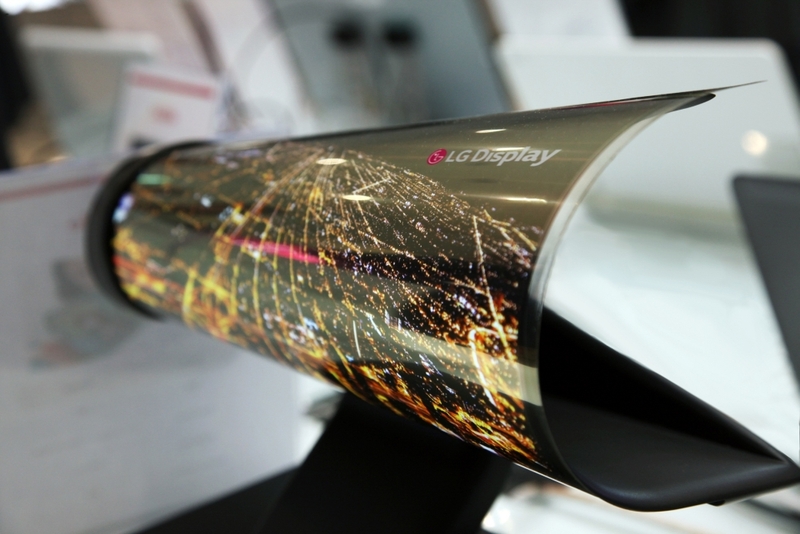 Etnews goes on to say that LG’s foldable display task force was established at the end of 2015, but that the technology is now transferred to its development department. Nothing is know about the size of LG’s foldable tablet+smartphone hybrid devices yet. Flexible displays are not that difficult to produce, but practical fully functional foldable tablets can be something of a challenge to launch. At the moment it still looks as if Samsung may be the first company to launch foldable tablets, with the current expectation being a February 2017 unveiling.